Jaz was hatched in the wild in Warren County, Virginia in May 1992. She was found as a pre-fledging, alone under a tree and apparently abandoned by her parents. Her rescuers transported her to the National Zoo’s Conservation and Research Center [CRC] in Front Royal, VA. While the CRC works to breed rare and endangered animals, some common “surrogate species” with behavioral and physiological characteristics similar to their endangered relatives are housed there. 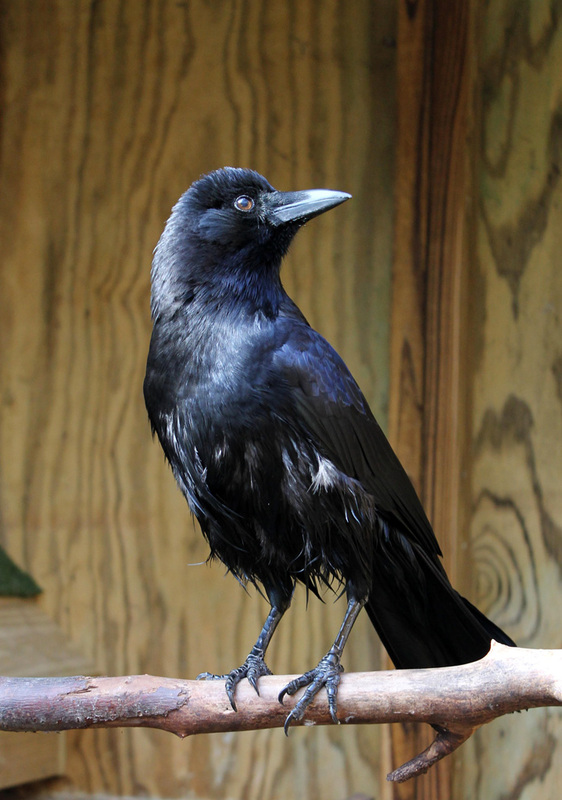 During most of her time at the CRC, Jaz was paired with a male crow. In fall 2007, the CRC determined that Jaz’s enclosure would need to be torn down to make room for new caging, and Jaz was relocated to the Wildlife Center.